The Bouncy Castle is fantastic fun for children of all ages! 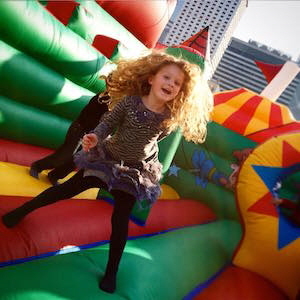 Whether you’re planning a children’s birthday party or public event, the Bouncy Castle is proven to be a winner every time. Better Rides’ Bouncy Castle is large in size (20ft x 20ft) and can accommodate several children at a time.